Greenpeace says it is concerned about the electronic waste trade in Ghana which it claims is putting the health of workers at risk. 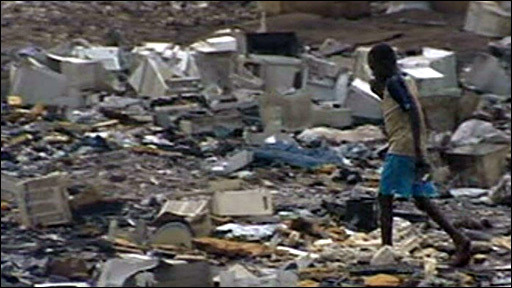 The campaign group says the dismantling of discarded computers on rubbish tips exposes people to smoke and chemicals. Will Ross reports from Accra in Ghana.